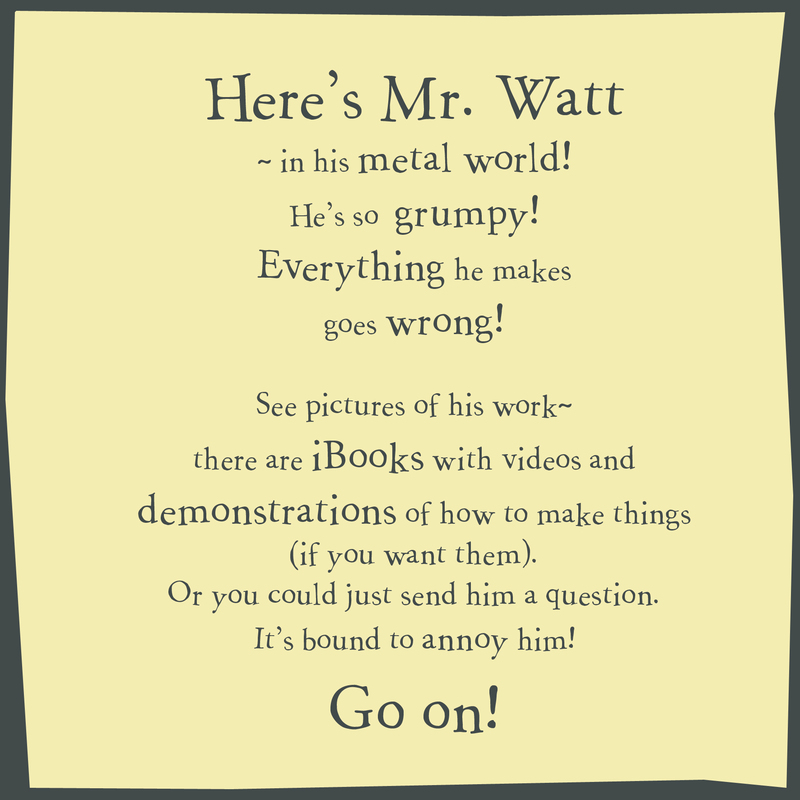 To gift an eBook you will need to open iTunes and search for “Mr Watt Grumpy Man of Metal”. Click on the arrow next to the £2.99 price tag and you will see “Gift this book” as an option. (You will need an Apple ID account). Hi Mel. It’s a tricky one unfortunately; It seems you can’t gift specific books from the iBookstore in iTunes, so instead you have to purchase a gift card with a note that includes your suggested book title. Unfortunately that means buying a £10 minimum gift voucher; (and I think the eBook has to be bought through the iTunes account that is associated/linked with that particular device). where does mr watt live? Dear Danny – thanks for your question. Dear Danny I have just put a photo of my favourite shed on my blog for you. BAH! does Mr watt have any pets or cousins ? No! But he has plenty of pet hates, and if he had a cousin that might be one of them! Good idea Ophelia! 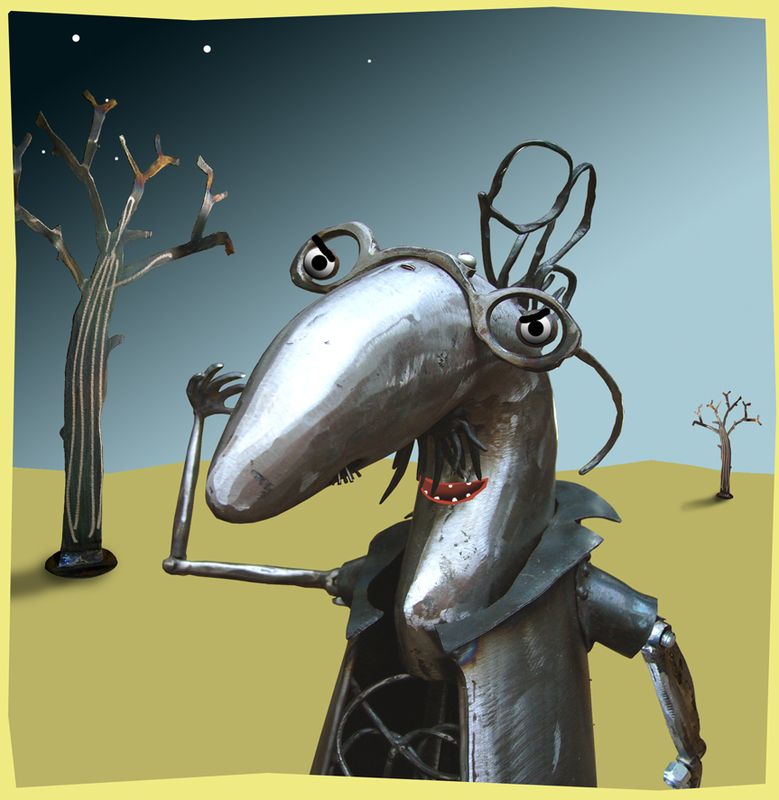 He’s always muttering about ‘cheeky monkeys’ ~ perhaps I should make a hundred of them and put some monkey bars from all of the trees on to his shed roof! did the witch catch you mr watt? Hi Liam. She most certainly did not! I did a quick swerve and she caught her broomstick in one of those scribble trees! Ha Ha! I don’t normally laugh very much but I made an exception in this instance HA HA! !